Let me first begin by saying that this is not the post that I had planned — but some plants tend to be divas. My initial idea was to give you a “Bloomin’ Update,” with a series of photos documenting the opening of a lily. My one and only lily that hasn’t been seen in years. 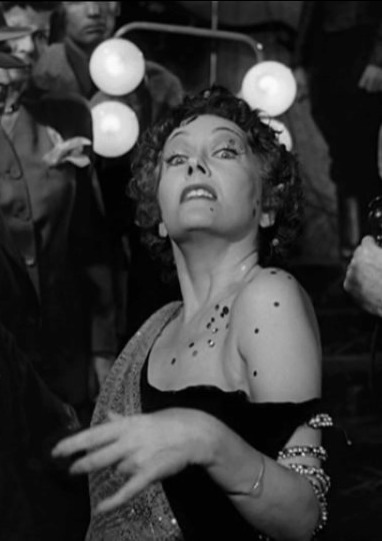 To use a film reference, this lily is my very own Norma Desmond of Sunset Boulevard fame. This post actually began long ago, well before there was a blog. I had planted three lilies in what I will call the perennial garden. In fact, the perennial garden was really my first attempt at gardening, and I felt the need to fill it with as many flowers as I could order, purchase, find, borrow, root. There was really no rhyme or reason. 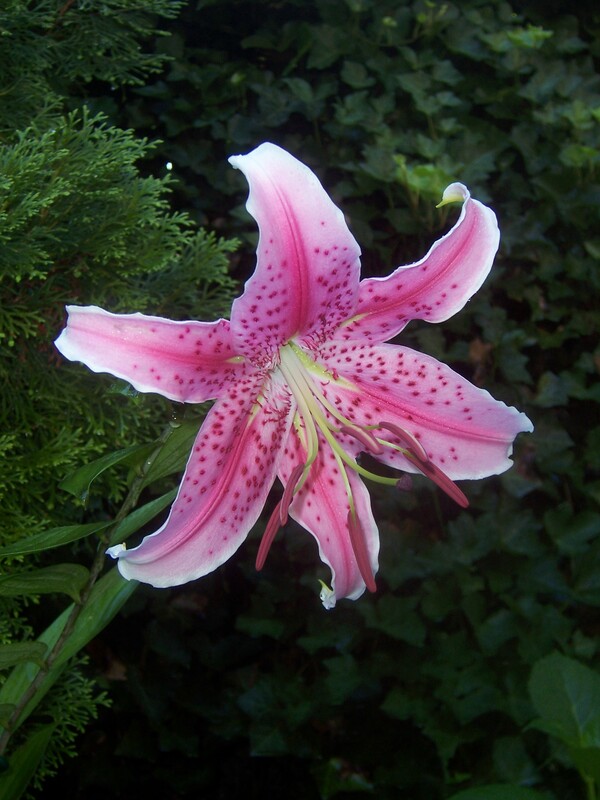 Regardless, the lilies bloomed beautifully, but their perfume was overpowering. At times, I wasn’t sure if I was smelling my yard or the funeral home that backs against the woods behind my property. Eventually, I decided to convert the perennial bed into something more formal: my version of a knot garden. The lilies had to go. I dug them, at the wrong time of year, and planted them on the other side of the yard. And that’s where the plants have stayed for approximately 4 years. Three leafy stalks have appeared each year, but never a bloom. Waiting for the grand opening. At least not until this year, when I spotted a bud at the end of one of the stalks. Ms. Desmond, it seemed, was ready to make a comeback. I felt giddy inside. Within seconds, I became a lily stalker, promising myself that I would sit in the same spot everyday, at the same time, and snap a photo to document the opening. The first photo was of the elongated bud, pale pink blushing through the white exterior. It had been so long since I had seen the flower, that I forgot how it would look, but I remember that it used to be big. On Day 2, the flower remained closed. Clearly, the lily was in no hurry to meet her public. Only two days into my documenting her appearance, the lily opened fully — overnight! All that planning and hoping, and I was actually asleep for the grand opening. In fact, it happened so quickly, that I could have sat in front of the plant and literally watched the bloom explode across the garden stage. Years ago, “Saturday Night Live” alumna Julia Sweeney wrote a book called God Said, “Ha!”. I believe Mother Nature just said the same thing to me. Although I’m disappointed that I missed the opening, I have to say the show is stunning and has been well worth the wait. I’m already looking forward to next season’s appearance, and bracing Joe that I may be pulling a few all nighters to get that first photo. How can I be so sure that the lily isn’t just toying with me? That she will make a return in growing seasons to come? I have her word. ← Moss Rose, By Any Other Name . . .
Kevin, this is my first visit to your garden blog following up a message that you left me on “my plot” at Blotanical. I have to say this is a very well written post and I thoroughly enjoyed reading it. Hope the lily keeps her word :-)! Hi, Christina. Thanks for stopping by and for your kind words. I hope you can visit again, and that the lily and my writing can hold up. Be well! Beautiful display! What a difference the bloom is from the bud! Thank you. 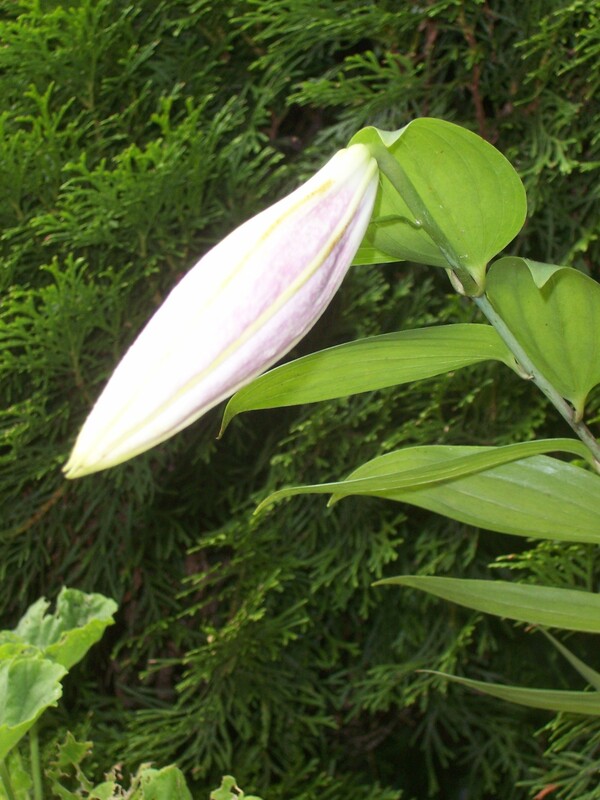 When I look at a lily going from bud to bloom, it always reminds me of an exploding firework.